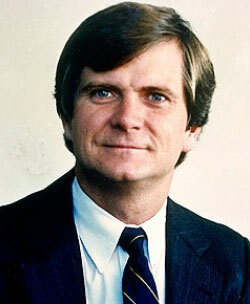 In his almost 40 years of living, Lee Atwater (February 27, 1951-March 29, 1991) rapidly became one of the top Republican political strategists as he worked to help elect or re-elect South Carolina Senator Strom Thurmond and Presidents Ronald Reagan and George H.W Bush during the 1980s. Atwater: “As to the whole Southern strategy that Harry S. Dent, Sr. and others put together in 1968, opposition to the Voting Rights Act would have been a central part of keeping the South. Now you don’t have to do that. All that you need to do to keep the South is for Reagan to run in place on the issues that he’s campaigned on since 1964, and that’s fiscal conservatism, balancing the budget, cut taxes, you know, the whole cluster.